Familiar surroundings can seem commonplace after the passage of time. The street we live on, the color of the walls in our home, the comings and goings of a neighbor. I have chosen to sit in a particular spot on my living room sofa for many activities; watching TV, conversing with my significant other when she’s sharing space, and meditating. A few months ago I purchased an area rug to add warmth to the hardwood floors in my apartment. Like many of my visual preferences, it has a feel of randomness, although the patterns repeat from edge to edge. And then there is this one area. 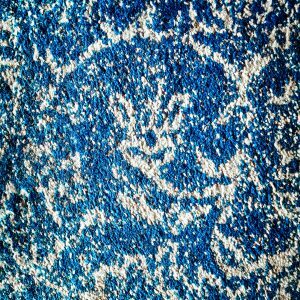 Although the design occurs again and again, there is something different about this small section of the rug. I noticed the form almost immediately. How could I not? It was front and enter in my point of view, from my chosen place on the couch. As a photographer, I notice details like this. I give them my attention. Visually and mentally. Why is it in my line of vision? Did the craftsman so far away, weave this the way it is woven, so that someone like myself might notice? 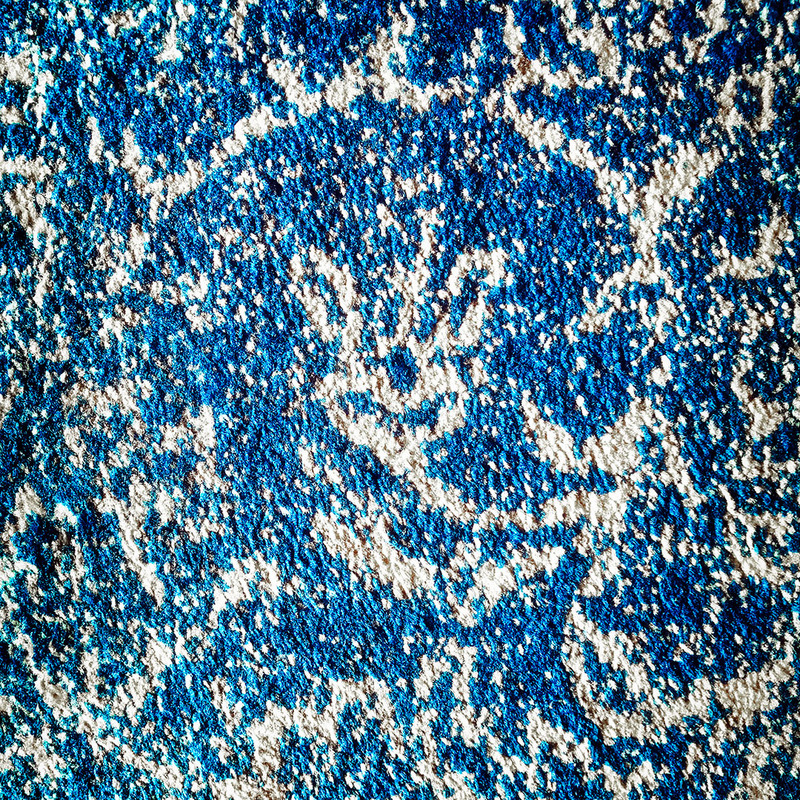 Perhaps the rug was created by a machine and the ‘face’ I see comes from nothing remotely resembling a plan. It doesn’t matter. I see it, and it sees me.